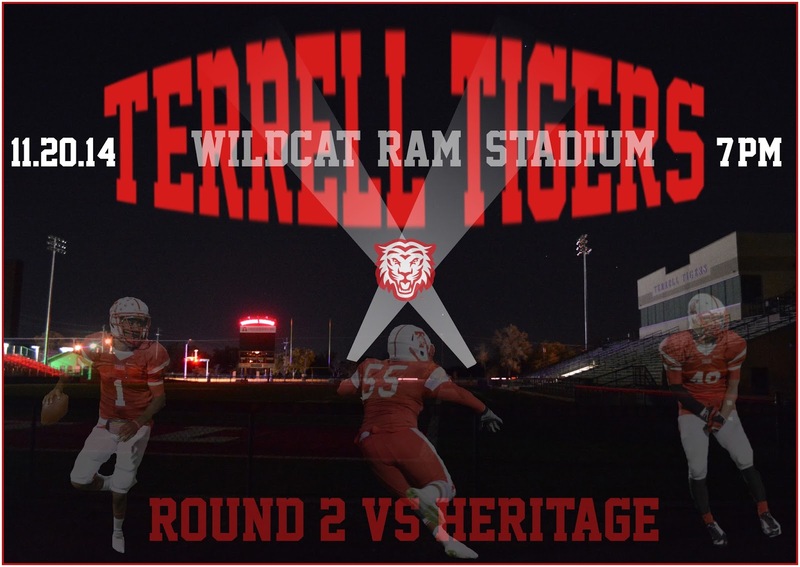 Terrell vs Frisco Heritage tonight, 7PM kickoff, Wildcat-Ram Stadium. I know the date says yesterday. It's corrected on the Facebook post.